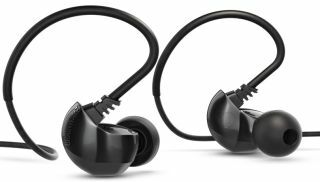 Brainwavz launches B200 in-ear headphones | What Hi-Fi? The £156 in-ears are the third model in the firm's audiophile-grade B series. Brainwavz has launched the latest in its B series of in-ear headphones. Sitting at the top of the B series, above the B100s and B150s, the B200s promise to deliver audiophile-grade quality without the hefty price tag. Designed and tuned in-house, the B200s' dual-balanced tweeter and woofer armature configuration produces a "balanced and accurate sound signature", according to Brainwavz. The focus is on the upper mids, with minimal colouring in the mids, and they also promise tight bass with a natural punch. They're designed to be comfortable, too. They're small and light, and fit over the ear, which should mean they stay in place. You get six silicon ear tips and one pair of foam tips in the box, which should also block out background noise. There's also a friction-free cable with a Y-splitter and sizing slider. The Brainwavz B200s are on sale now, priced £156.